After-sale Guarantee: Each one will be done functional test before shipment, so anyone receives a defective one please don’t feel hesitate to email us before leave negative review and feedback, we will give you support within 24 hours. 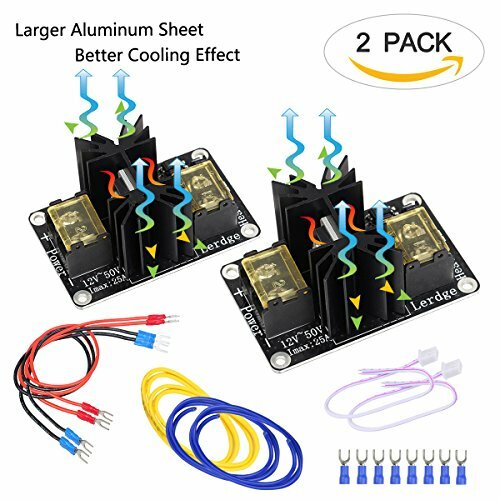 ▶ HIGH current load module hot bed Power expansion board / Heatbed power module / mos tube for 3D Printer. ▶ HIGH-POWER module thermal bed, completely solve the thermal power is too large bed, load current issue. ▶This module under the premise of normal cooling, found at I (Max) -25A situation stable work. During use, do not exceed current 25A. ▲ Completely solve the hot bed power is too large and the load current issue. 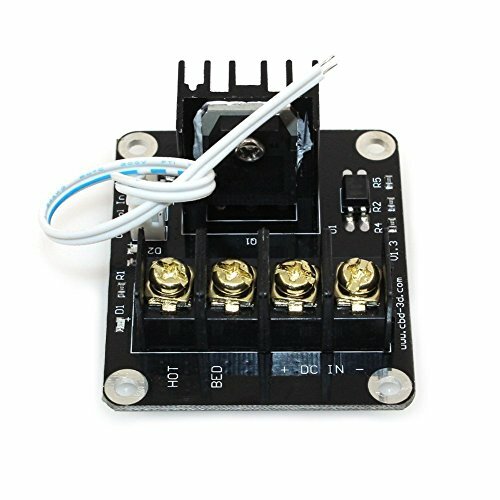 ▲ General Add-on Heated Bed Power Expansion Module. 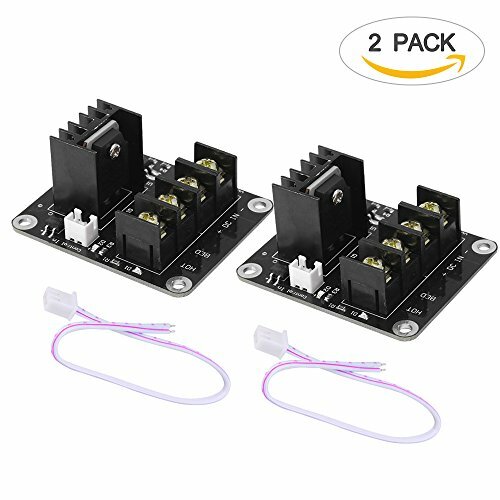 ▲ With this addon module to your 3D printer motherboard you can lead the maximum current up to 25A. ▲ Please choose the appropriate power according to the power of the hot bed, leaving enough margin. 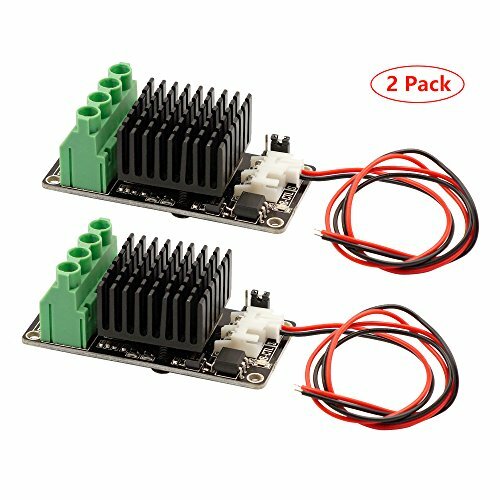 High-power hot bed is recommended to use 24V power supply, so that the same power requirements, the current is 12V smaller.